Welcome to Crash of Cars, a REAL-TIME MULTIPLAYER game where your goal is to collect as many crowns as possible before getting destroyed. Collect power-ups, destroy other players, steal their crowns, and climb the leaderboards! 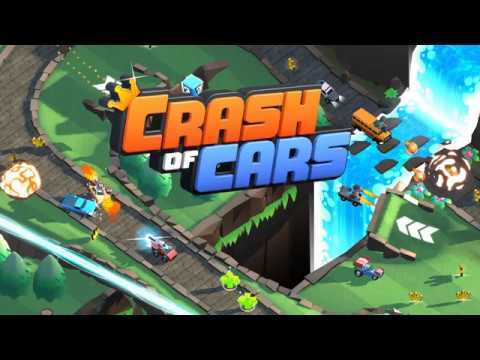 KEY FEATURES:- 8 Maps to enjoy REAL TIME Multiplayer battles- 70+ unlock... see more Welcome to Crash of Cars, a REAL-TIME MULTIPLAYER game where your goal is to collect as many crowns as possible before getting destroyed. - 30+ Skins to customise your cars with. Pepperoni Skin on the Camper Van is quite a tasty choice. - 16 Upgradable Power-Ups, including a flamethrower, cannon, trebuchet, and more. - New Content Coming Soon!